None of us can escape change, but savvy trainers understand that it is well worth developing strategies to manage what comes with it! 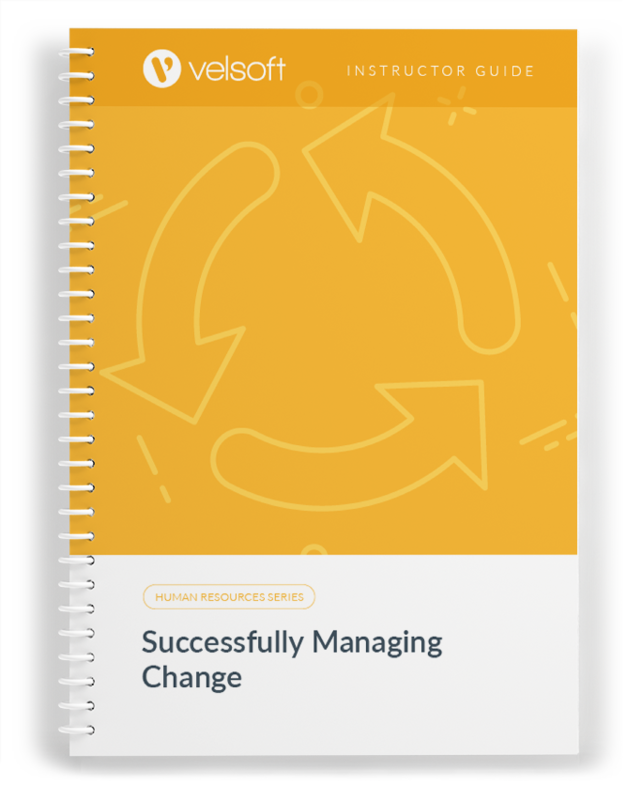 Everyone has to manage change, whether they embrace it or not, and so our approach is that having tools to help embrace it lead to the best outcomes. Change Management: Change and How to Deal with it courseware and training materials are designed for everyone in the workplace who needs a one day course on such topics as the stages of change, pacing, dealing with resistance, adaptive strategies, approaching changes as an opportunity for growth, and more. 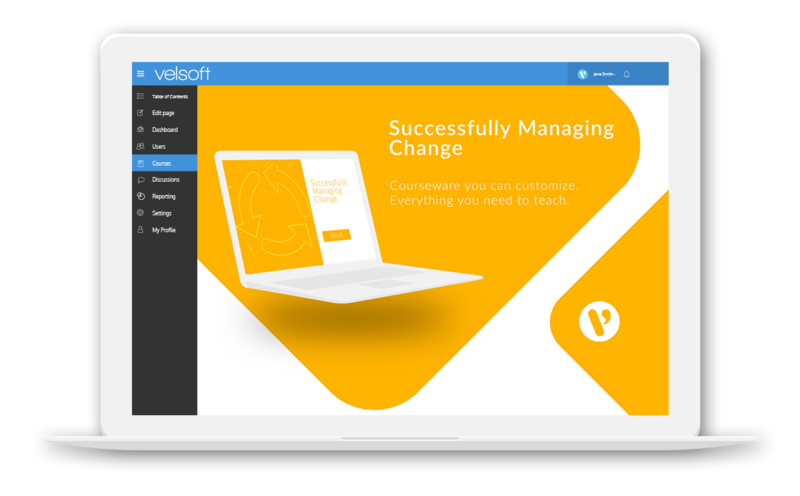 Velsoft’s training course includes everything a trainer needs to deliver a great learning experience that people will remember. Your single courseware purchase gives you unlimited print on demand training materials, classroom based delivery, and customization to your brand and needs of your participants. Get Change Management today! 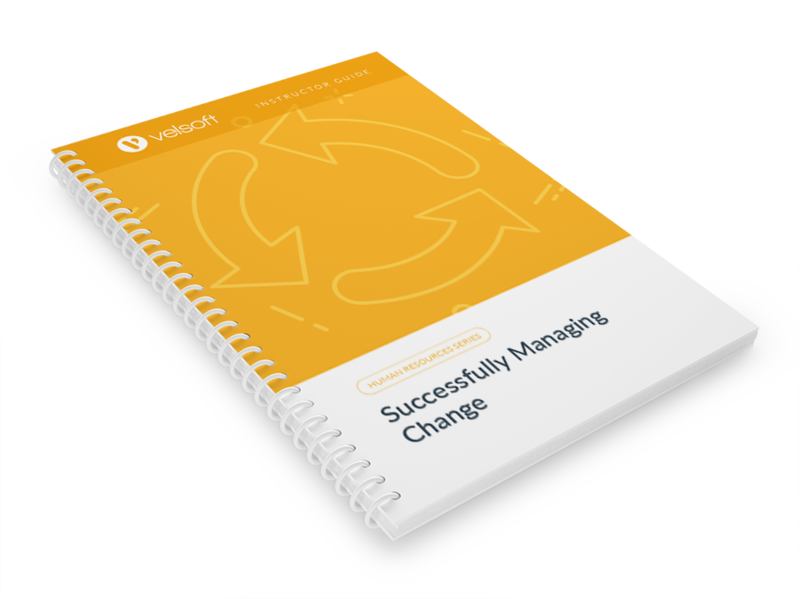 Successfully Managing Change is one-day course that provides your students with a comprehensive overview of the knowledge and skills need to ensure the viability of businesses in today's world. The course material applies equally to product and service-based enterprises. Session Three: What is Change Management?